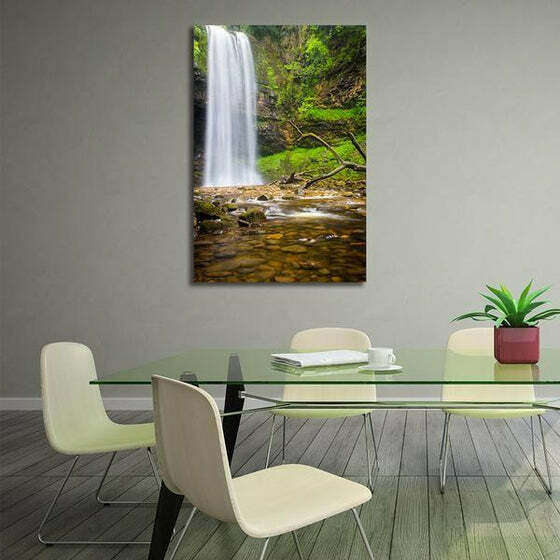 With modernization, it is now hard to find the scenic nature-themed landscape like in the Alluring Clean Waterfalls Canvas Art! 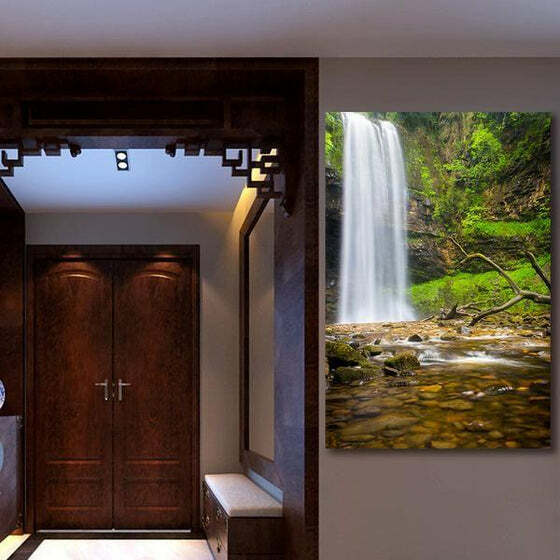 Captivatingly, this single panel canvas wall art is perfect for your bedroom, living room, and even your bathroom walls! 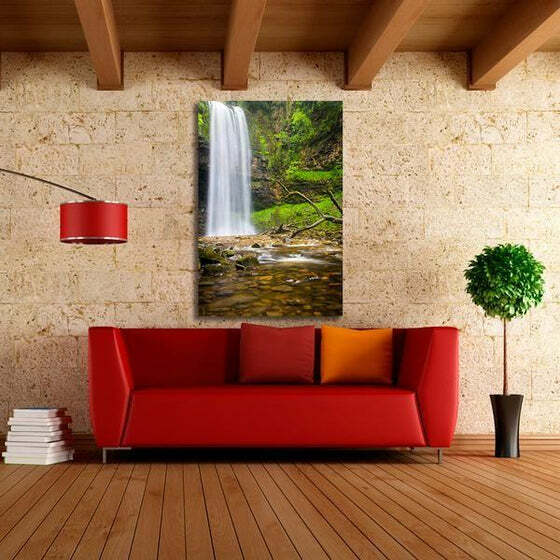 Buy this affordable wall decor today to achieve that outdoor look you've been wanting inside the comforts of your own home! Get it now while supplies last! Orders are typically be produced & shipped within 2 - 4 business days after we receive them. We will forward the tracking number to you as soon as the product ships. Shipping time is calculated at checkout and depends on the product ordered and where we're shipping to. Shipping costs are clearly shown before you purchase. 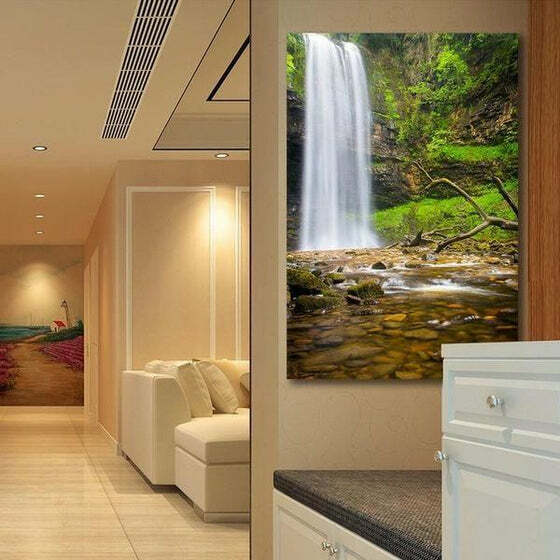 On the rare chance that an item you ordered arrived damaged, please keep all the packing materials as you received them, and contact us within 30 days from the date you receive your wall art. It may also be helpful to take a few pictures of the package or the item so that we can see exactly what happened. We will arrange for a replacement and we’ll take care of any shipping or postage costs that may incur. Damaged or Incorrect Items don’t need to be returned as long as an approved evidence e.g. photo(s) of the damaged or incorrect products are sent. - Ships in 2-4 business days! Easy to order and delivery quick. No complaints at all. Selection of prints and sizes was vast. Very satisfied customer! 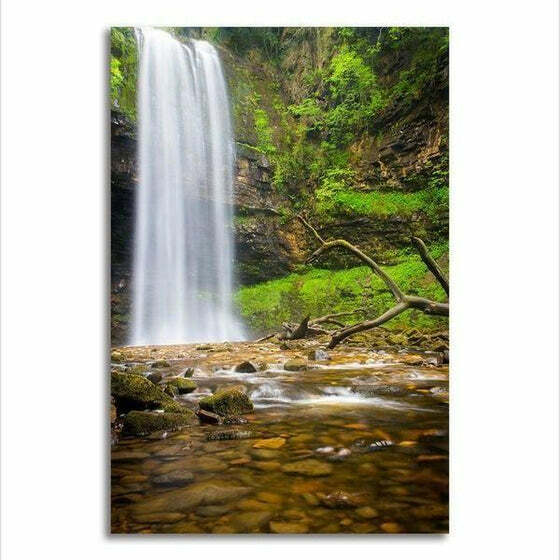 Absolutely delighted with the canvas print from Canvasx. 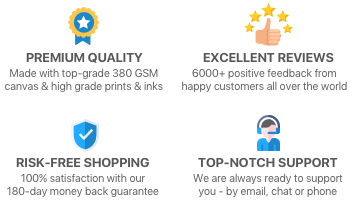 Great service quality and value for money. Would buy again.